The last thing a governor wants - and especially a law-and-order Republican governor - is a controversy over a pardon or commutation of sentence, especially when it involves someone convicted of a brutal murder. But that's exactly what Miss. Gov. Haley Barbour got this week. Barbour's decision to let out the man convicted of the 1989 killing of Adrienne Klasky after serving 19 years of a life sentence has triggered rage among those who knew her and who remember the brutal crime. Barbour earlier this month suspended the life sentence of Michael Graham, who had been working as a trusty in the Governor's Mansion. Much like a parole, Graham is restricted in where he can live and has to report to monthly meetings with corrections officials. Graham, Klasky's ex-husband, was convicted of her murder. Witnesses said Graham stalked Klasky for three years before pulling up next to her at a Pascagoula intersection and shooting her in the head as she waited for a light to change. Graham surrendered to authorities 15 minutes after pulling the trigger of the 12-gauge shotgun. Dozens of Klasky's former classmates are sending the governor an oversized letter - a 12-foot poster signed by them - expressing their anger and dismay about his decision to let her killer out of prison. "We wanted to express to the governor our outrage in what he has done in letting someone like this loose," Harvey Barton, who graduated from Pascagoula High School with Klasky in 1973, told WLOX-TV in Biloxi. State Rep. Brandon Jones, D-Pascagoula, said he will deliver the poster to Barbour in August when lawmakers return to Jackson to restart a special session. "Who knows what a 12-foot piece of butcher paper means, but we hope that it shows the raw emotion that was there. And the memory of what was by all accounts, a lovely person," Jones said. Jones hopes to curtail a governor's right to pardon or suspend the sentence of anyone convicted of premeditated murder. Barton said he has fond memories of Klasky. "Adrienne was always so full of life, and always had a smile on her face, and so happy, that's the way everybody remembers her," he said. 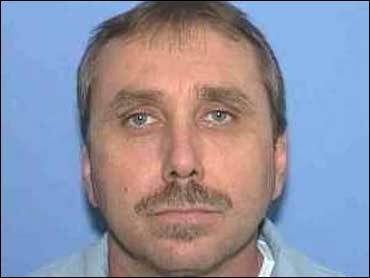 Graham would have been eligible for parole July 12, 2010. Barbour issued an "indefinite suspension of sentence," said Pete Smith, a spokesman for the governor. The suspension can be reversed. The governor said last week that what he did for Graham was the equivalent of a parole and that Graham will report regularly to an officer. Barbour said he's willing to pardon Graham if he gets a job and follows the rules during this "second chance" he's been given. The governor said Graham was a diligent worker at the mansion. Barbour said he expects Graham "to have an unblemished record" outside prison. The Jackson Free Press noted this week that Barbour has granted pardons to five other killers this year, at least two of whom were (like Graham) convicted of killing former or current girlfriends. On Thursday at the Neshoba County Fair where Barbour was speaking, a woman started heckling the governor, simply chanting the name "Adrienne Klasky" over and over. Linda St. Martin, a local Democratic leader, yelled the name repeatedly until she was escorted away. In an interview with Gulfport, Miss. 's Sun-Herald Thursday night, St. Martin said, "I just had to do something. "This woman can't speak for herself," St. Martin said. "Who will say the name of Adrienne Klasky? I made the decision today that I would. "The question is not why did I do this. The question is why did the governor release the man. Not why did I do it, but how long will I do it alone?" A former lawyer and lobbyist, Barbour served as the Republican National Committee Chairman from 1993 to 1997. He was elected Mississippi Governor in 2003 and re-elected last year. How Barbour weathers this political firestorm is unclear. Because of term limits, he cannot run for Governor again when his current term expires in 2011.